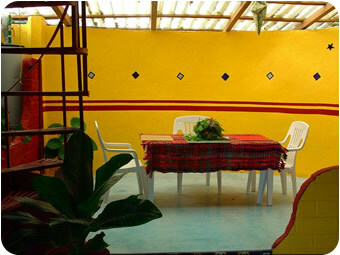 Casa Aramara is located at the edge of the village a very short walk up from the water. Tucked under the canopy of a great Parota tree, the house overlooks the bay and mountains beyond. From the patio and kitchen, it affords quite a wonderful view! Totally remodeled in 2009 in the old Palapa style, Casa Aramara is the perfect vacation home for a Mexican getaway. 2 separate loft bedrooms with curtains for privacy. 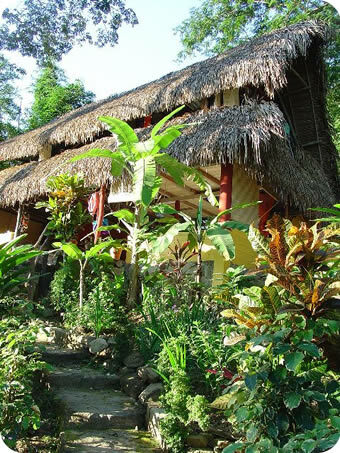 Casa Aramara is located on the hillside at the edge of the village in Yelapa. The walls are open to the outside in the long standing Palapa style which means you will hear some of the traditional sounds of Mexico. This could be some Mexican music, the laughter of children playing, the chanting of parrots, the crowing of a confused blind rooster, or other typical sounds of a rural Mexican village. © 2015 Michael Conkle. All Rights Reserved. All Photography Copyright Michael Conkle.